Cool card, right? Hall of Famer, glove on hip variation, rare back, sharp corners, a real beauty. Why do I have it? Well, around 20 years ago, I decided that it would be awesome to try to get a card of every HOFer from their playing days. I started accumulating some, but knew, in my heart, I’d never get there. Expense, rarity, fluctuations in income and time would prove me right. This was a pipe dream. Pipe dreams can be fine; having a Holy Grail has its merits. It’s not for me. I like to collect sets, manufacturer ordained sets. I’m not a Personal Collector, looking for every Max Alvis card (though I’ve thought about doing that), or a Team Collector, or a Type Collector. Great pursuits all, not my thing. So now I’m left with a bunch of nice pre-war cards that, because of my nature and the reasons I acquired them, have no emotional hold on me. Mark Armour and I spent a long time on the phone last week talking about emotion and collecting, and how, for us, they’re inextricable. I think we all know this. The cards in our collection that we’ve known since we were kids feel different to us than the cards we’ve purchased along the way. I can assure you that the 1977 Burger King Yankees set that I got last week brings me more joy than ol’ Muggsy’s T206. You’ve read about my travails in grading and I can report that I sold the Ruth and Cobb for about as much as I think I can, based on lots of offers and auction results. I only had a little post-partum blues, but they faded fast. The main reason I sold those was to buy a nice 1956 Mantle, which I did. What’s interesting to me is that a 1956 Mantle is about equal in my mind (and heart) to the McGraw. Mantle retired around when baseball started to blossom for me and, even when I started collecting cards in the early 1970’s, he was never a guy I dug. So why, in effect, trade a Cobb Domino Disc for a ’56 Mick? I think I do have a reason. When I was first buying old cards, I fell in love with the 1956 set. For years, it was the vintage set I had the most of (about 40 cards). I started pursuing the set in earnest a couple of years ago and needed Mantle. the 1956 Mantle brings me back to my youth as a collector. I can see 12-year old me with his first ‘56s, remember buying beautiful Pee Wee Reese and Whitey Ford cards, and there’s a certain pang that comes with those cards. We’ll see where this all goes. In reality, there’s a limited amount of cards from my growing up that I don’t have, or still want. In retrospect, I should’ve bought the 1979 Topps Hockey set instead of this McGraw card. Maybe that’s my next deal, selling Little Napoleon to buy The Great Gretzky’s rookie card. The ‘70’s were a wasteland for cards. There simply wasn’t a lot of product, especially not compared to the flood soon to come. (Après moi le deluge indeed!) So when Burger King issued Yankees cards in 1977, it was a big deal, such a big deal for me that I didn’t have the set. Not only didn’t I have the set, but I didn’t have a single card. Why? I can’t quite figure that one out. I was collecting seriously, and in 1978 and 1979, I finished complete BK Yankees sets with doubles to spare. 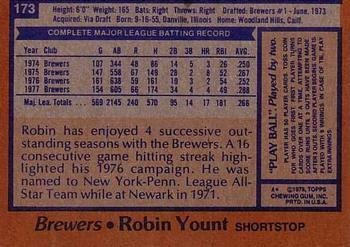 The 1977 cards passed me by and I don’t understand it to this day. The first Topps-produced set for Burger King restaurants was issued in the New York area, featuring the A.L. champion Yankees. 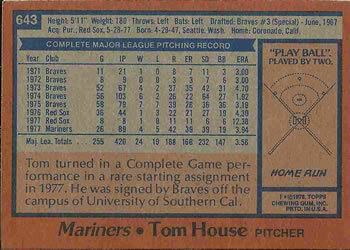 Twenty-two players plus an unnumbered checklist were issued at the beginning of the promotion with card #23 (Lou Piniella) being added to the set later. 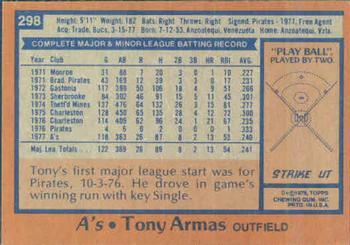 The “New York Post” reported production of the first 22 player cards at about 170,000 of each. The Piniella card was issued in limited quantities. 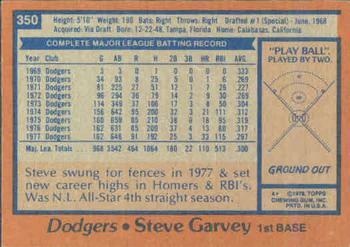 Cards are 2-1/2″ x 3-1/2″ and have fronts identical to the regular 1977 Topps set except for numbers 2, 6, 7, 13, 14, 15, 17, 20 and 21. These cards feature different poses or major picture-cropping variations. It should be noted that very minor cropping variations between the regular Topps sets and the Burger King issues exist throughout the years the sets were produced. Here are the variations, regular Topps on the left, Burger King on the right. No All-Star banner. Burger King is an egalitarian enterprise. Better cap, same puzzled look. Nice to see Torrez in an airbrushed Yankee cap, but he’s still stuck in the Coliseum. Updated card, though not a better one. NEVER play without a cup! Bucky gets two great cards in ’77. No point in the difference in cropping. The Topps card is nicer, with more of the new stadium in view. The Topps issue for Reggie that year is one of the worst cards for a marquee player. The Burger King card remedies that, and shows Jax looking a bit nervous in NY. Airbrushed Reggie seems more cocky. You’d think The Toy Cannon would be happier moving from the Braves to the Yankees. Doesn’t seem like it. Good cards, same backdrop. Key detail – Yankees don’t choke up! #23 of a 22 card set. At the time, the story about the Piniella card was that George Steinbrenner, always used to having things his way, was incensed that Lou, a personal favorite and Tampa native, was passed over in the initial run. Besides the typical Boss tirade, it is odd. Piniella was certainly more important to the team at the time than Paul Blair or Jimmy Wynn. I bring this set up because my 40+ years of drought has ended. I picked up a beautiful set this week, with Piniella. It makes me very happy to have them in hand after all these years.